As I notice all kinds of UX in play (both good and bad), I’m learning techniques that I could apply to my work and what blunders to avoid. I’ve got a serious case of over-asking, “Did they even do usability testing for this?” because I come across a lot of wrinkles in the apps I use. On the flip side, I’m also beginning to understand what it means when people say that good UX design is invisible. It’s truly a beautiful thing when products (or anything we interact with) provide great experiences that doesn’t make users question anything. Here are July’s round-up of designs. LinkedIn is one of my favorite apps because it’s easy to stay connected with others. I especially enjoy reading articles that people recommend. However, there’s one small thing that I can’t get over. The small icon on the top right is to repost the article on your own LinkedIn feed while the one on the bottom is to open it in browser. The icons aren’t exactly the same but if they are close enough, they should be performing the same function. 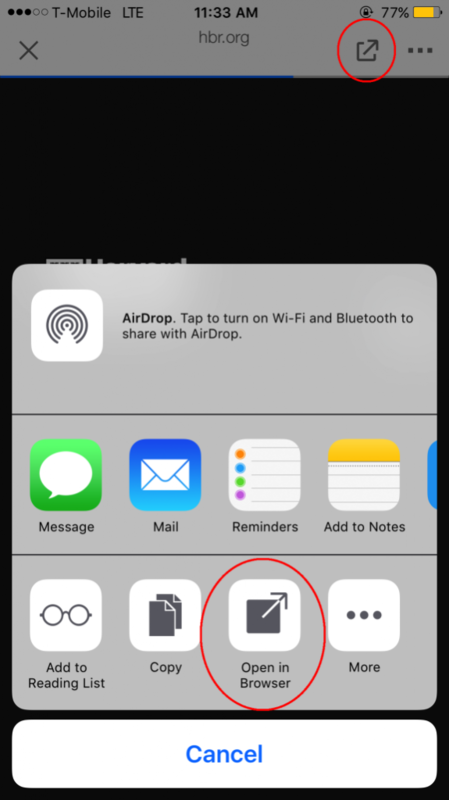 I would change the “open in browser” icon to something else like the common link icon. UPDATE: Their recent update fixed this problem so go LinkedIn! I still want to keep it up as an example of what not to do. For the most part, I only use WhatsApp to communicate with more or less ten people who can’t be bothered to install LINE. When it comes to messenger apps, I like to keep my notifications turned off to avoid distractions, with the exception of iMessage. With WhatsApp, they ask me at least once a week to turn on my notifications. Can they add a “don’t show this message again” feature? If they do this once, I understand. They’re trying to remind me to turn on notifications so I don’t miss a message. But I have had WhatsApp for six months and they still ask me. 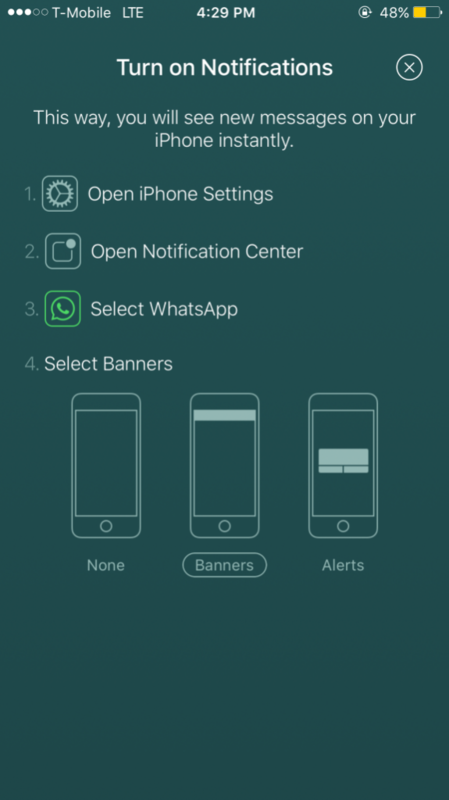 No, WhatsApp, I don’t want instant notifications. In general, I love running my blog on this platform. However, every now and then, I come across small annoyances that makes the experience not as great. 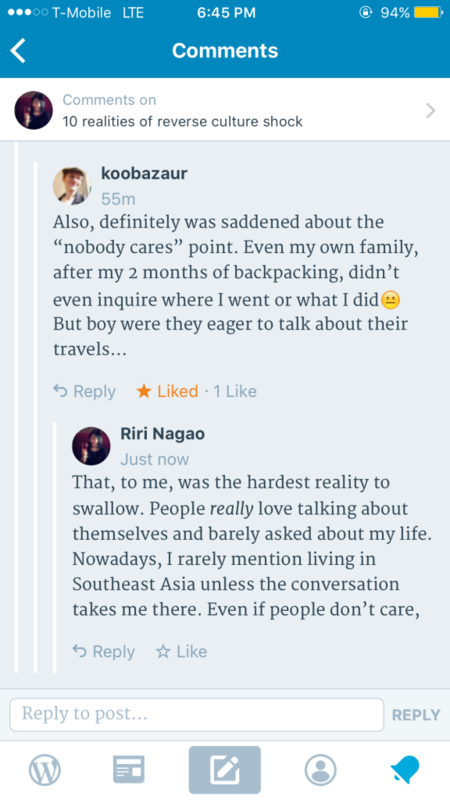 A few weeks ago, I published an article on reverse culture shock and wanted to reply to a reader’s comment. Since I was typing on my phone, I didn’t feel like I had full control over the keys I hit and accidentally sent a comment without completing it. WordPress should add a feature where they ask users if they want to submit a comment if it was grammatically incomplete. In this case, I ended my comment with a comma and that would make my sentence incomplete. It’s not a huge deal that my comment was sent without a confirmation but it would be a phenomenal feature to add. To say that I’m addicted to Medium is an understatement. My favorite feature is when they put the exact number of minutes it takes to read the article. 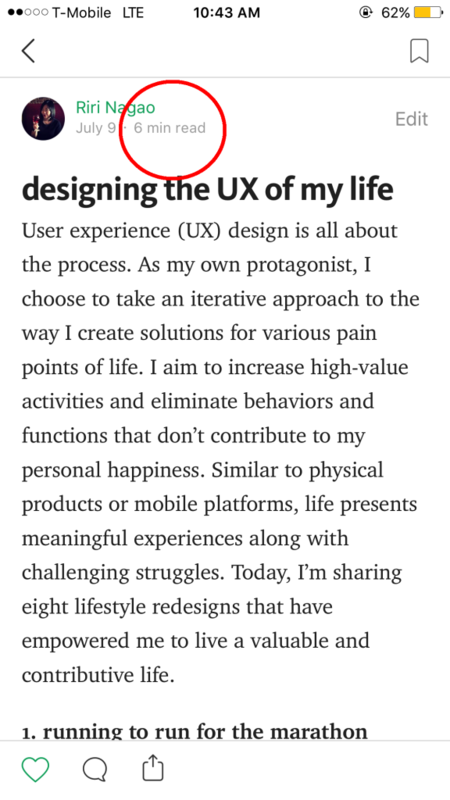 I cross-posted a recent article on designing the UX of life and when I did, Medium calculated the number of words and translated that to an approximate time for readers. I don’t like it when I start reading a blog and realize that it’s much longer than I had initially anticipated. When articles note the approximate time it takes to read it, I am empowered with the choice to either read it or bookmark it for later. The elevator button interface needs some serious redesigning. Open and close buttons are completely obsolete. No one presses them. If we want the elevator to stay open, we stick our hands in the door so the sensor knows to keep it open. If we want to close it, the elevator just does it when you get in and press a floor number. With this particular interface, I was confused as to which button to press to go down to the first floor. 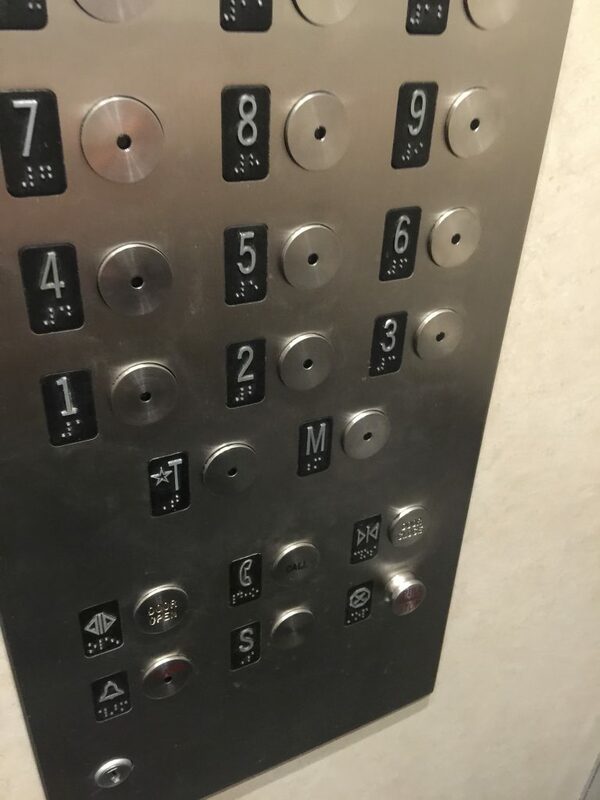 I saw “1” so that’s what I pressed but it didn’t take me to the real first floor. I had to press the “T” because the star next to it indicates that it’s the ground floor. I wouldn’t even bother having “T” or “M” or any other floor that confuses the user. Let’s start at 1 and then go from there. I use the Panera app to get breakfast every morning. When I’m in the train and have wifi in the Grand Central station, I pull out the app and place my order so that by the time I reach Union Square, my order will be ready. Since I have a very short window of time to place my order before I lose wifi, I try to navigate through the app smoothly and quickly. 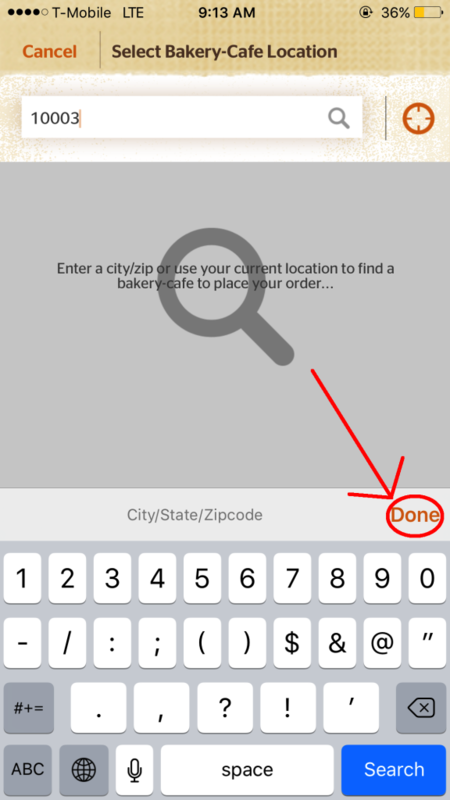 One tiny thing that I noticed was the “Done” feature when the app asks for the location you want to place your order with. The first time I used this, I clicked “Done” and realized that it does absolutely nothing. In order for the app to perform a search of the nearest locations, I have to click the blue “Search” button on the bottom right. It’s quite annoying and I wish that the “Done” button could double-up as the “Search” button. It would make my life significantly easier. 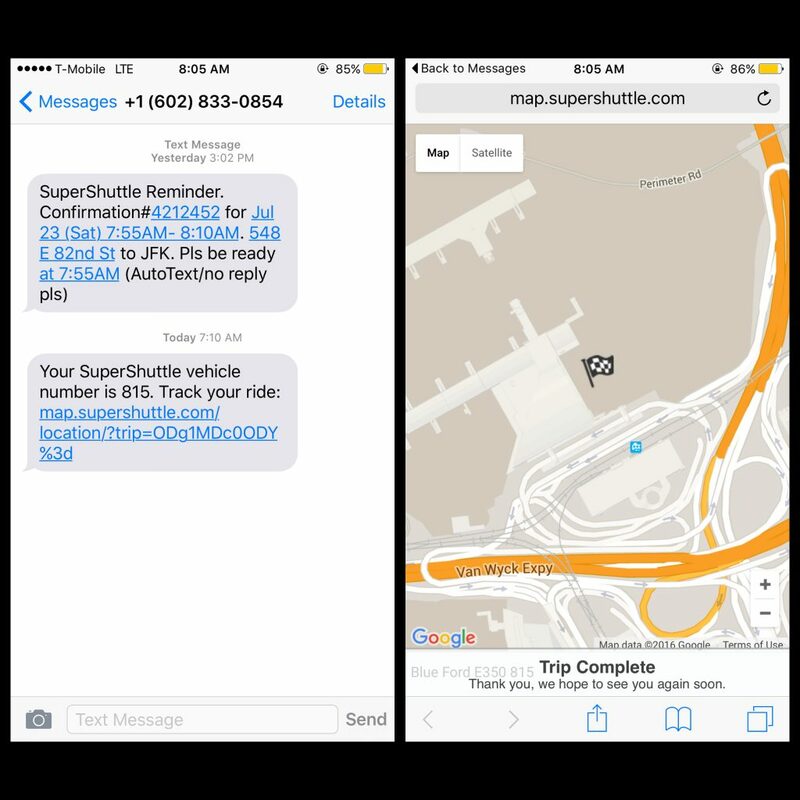 Recently, I booked a SuperShuttle to pick me up at home and take me directly to John F. Kennedy International Airport. 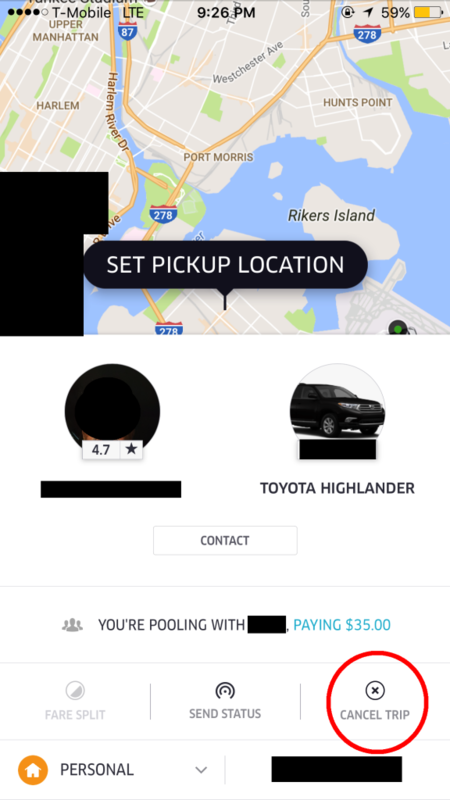 A few minutes into my pick-up window time, I got a text saying that I can track my ride. When I clicked it, the right screen showed up saying that the trip was completed. I’ve been scammed similarly before so I had a rush of anxiety thinking that it happened again. I panicked, not knowing whether my van would actually pick me up. I was looking up the phone number for their customer service and the van finally showed up. Thank goodness that it wasn’t a scam but the brief anxiety that I experienced was definitely not an enjoyable start to my trip. Next time, I’ll stick with Uber. I love iMessage. In fact, most of the communication I do with people is through iMessage (aside from face-to-face conversing). Oftentimes, I send and/or receive important information from others but continue to have conversations. When I need to go back to that information, I find myself scrolling through endless messages to retrieve what I need. They should add a bookmarking feature that allow users to put pins on certain parts of the conversation so that when they need to pull it up later, they can do so. This process is so arduous. I seem to have more and more apps to update each time I check my phone. I haven’t found the hack to successfully updating all my apps at once. 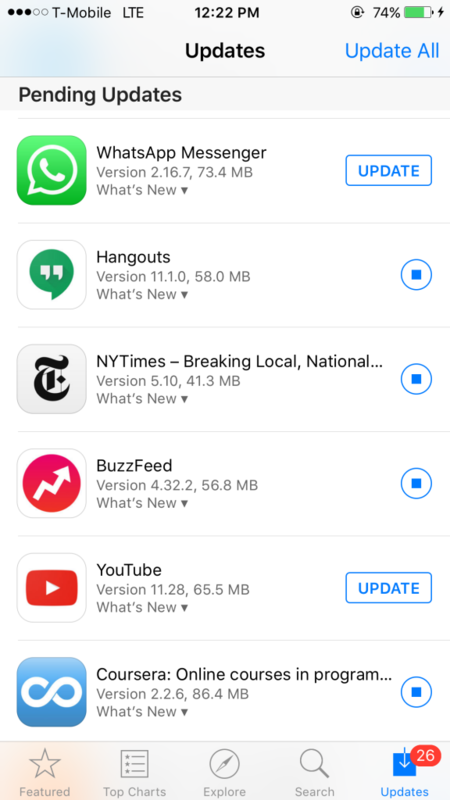 What happens for the most part is that when I click “Update All,” the progress circles on the right side remain like that and most of the apps don’t update. Some of them even revert back to the rectangular “Update” button. If I need to install a newer version of the software, then I would like the App Store to tell me that. I shouldn’t have to Google around to figure out how to make sure all my apps update properly. When I came back from Miami, I called an Uber Pool to pick me up from the airport and take me home. This issue only happens when I’m riding with Uber Pool but the app provides a button to cancel the trip even though I’m already en route to my destination. There was an instance where I accidentally tapped the button and got an email saying that my request was cancelled. Since I’m a responsible person, I contacted customer support to make sure that the driver was properly compensated but it shouldn’t happen anyway. The cancel button should not exist in Uber Pool if I’m already in the car to begin with. There is no reason for me to cancel the trip. Collecting examples of both good and bad UX designs is a great exercise to heighten my awareness of the impact of design and develop a strong argument to advocate for usability testing. I started this segment last month because I needed a place to showcase the screen shots and pictures I capture. I’m definitely learning a lot through being an aware user and thinking about solutions I would incorporate in each situation. So far, most of my examples have been from apps but I want to expand out to real-life interfaces and products as well. I’ll be back next month with another batch of design-round ups.